Independent facilitation frees facilitators to be dedicated to citizens who experience vulnerability because of labels, disability, chronic illness, poverty, or aging. Facilitators are independent of biases from others such as service systems and funding bodies. Independent facilitation puts belief and hope in community because that is where relationships and safeguards play out for all of us. Independent facilitation builds resilience and capacity in individuals, families, and communities. Independent facilitation flourishes when it is embedded in community, in facilitator networks, and is supported by local action and government policy. This book is for people like us, people who want to make a difference, who want to feel free to be dedicated to a person; to citizens who experience vulnerability. People who want to use an effective process that is a change maker. 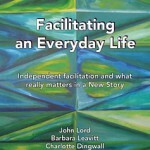 Independent facilitation is an emerging craft. Facilitators in the New Story believe that community is always the answer. We reject approaches that do not lead people to relationships in their community. And while independent facilitation may touch the service system to access supports for a person, it is independent of agendas, expectations, and accountabilities of service systems. This book is an examination of various perspectives on disability that provide insightful discussion on the current need for social innovation to move vulnerable citizens from areas of exclusion to social inclusion. It offers a straightforward approach to addressing the organizational strategies that have been used in the past and highlighting areas for change. 2nd Edition can be purchased here. This book is all about relationships and their importance in building an inclusive life! It’s that simple and that complex. But that is true for all of us; it takes work to build and sustain friendships. If you happen to experience a disability, building relationships must be more intentional. We all need to Belong. Peggy, John & Karen describe their personal search and exploration of five approaches to building the good life that Karen enjoys. Let Karen be your mentor. She has it figured out for herself – with a little help from her friends. For more information check out Peggy Hutchison’s website. This is a story of resilience and possibilities, as people with disabilities take charge of their own lives and work with others to create positive change in their community. 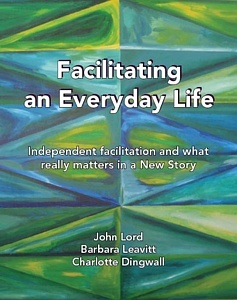 This book highlights 25 years of the Independent Living movement in Canada. It shows how the move to citizenship and consumer direction has had an enormous impact on the lives of Canadians with disabilities. The Evolution of Community Supports: Sorting Out What Really Works!